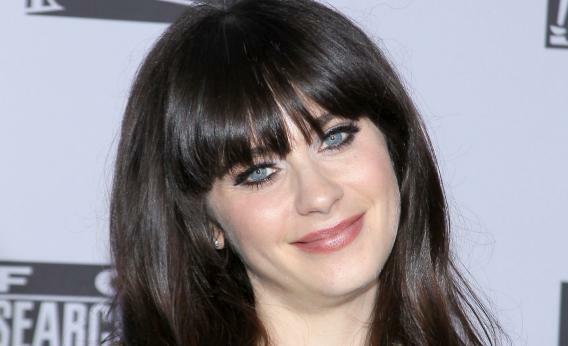 Actress Zooey Deschanel arrives at NBC Universal’s 69th Annual Golden Globe Awards After Party. Julia: A judge might buy into this whole thing. Jess: I didn’t realize I was doing a thing. Julia: It’s a great thing! The big beautiful eyes, like a scared baby. I’m sure that gets you out of all kinds of stuff. That argument is completely reasonable. There shouldn’t be just one acceptable way of behaving for women—and whether you’re a ball busting lady lawyer with an anger management problem or a beribboned glitter pusher, you shouldn’t be shamed for it. However, that’s not the message that was put forth by the end of the episode. In the last fifth of the show, Julia comes over to apologize to Jess, and it turns out that deep down, what Julia really wants is to talk about her feelings and crochet baby hats. That’s what makes Julia a happier person—having girl talk about her embarrassing high school days. Narratively, because Jess/Deschanel is the star of the show, they had to make her be more sympathetic than the Julia character. And intellectually, I understand that. But in the real world, I want those Murphy Brown-talking, pantsuit wearers to be just as acceptable and palatable as the cupcake clan.